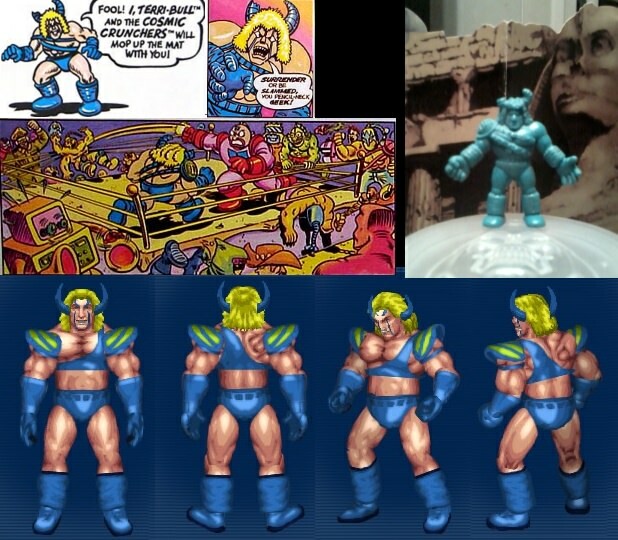 There's a ton of Kinnikuman/M.U.S.C.L.E. chars available..
EDIT: Properly credited University of Muscle and Nathan's Muscle Blog for preview pics used for Terri-Bull. No one said anything, but I thought I should. Edited by Crunkenstein, 10 December 2017 - 05:33 PM. 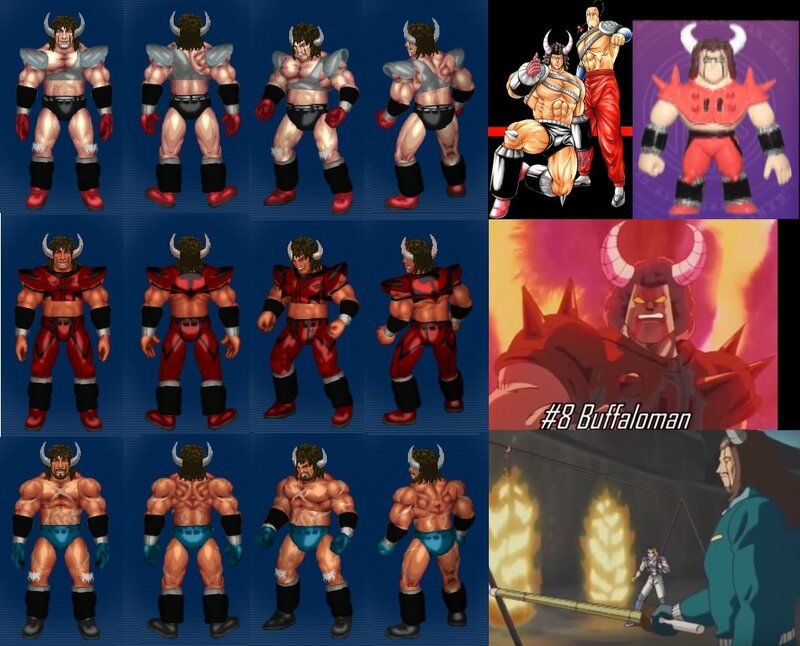 For the alternate attires of Terri-Bull, I didn't think the hornless and jacket ones were so great so I combined them into one and made attire 2 into camouflage Buffaloman. Sorry, no bazooka though. Here's a couple videos of Buffaloman, Buffalo Rampage, and Terri-Bull. These videos are only half the actual resolution and have a lower frame rate. Playing as regular Buffaloman in alternate Legion of Doom style attire vs someone's Bikeman. Edited by Crunkenstein, 22 March 2018 - 06:09 PM.